Are you a Rummy aficionado? Are you smart and quick with your fingers. Are you looking for some handsome money at the time of Dasara or Dussehra, which marks victory of good over evil. 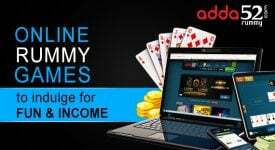 Then, just log on to the most popular and trusted online Rummy website, adda52 rummy. The finale is slated on Vijayadashami day, October 19. On offer is an attractive pool of Rs 2.5 lakh. Too big an amount to let go. 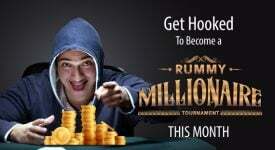 So, hundreds of Rummy buffs have already been vying every day to be in the Friday finale. Lady luck has already smiled on nearly 50 players and they are waiting for hundreds more to lock horns online. All you need to do is just pay Rs 65 on satellites, which kicked off on October 1, 2018. Sixty more can still make it to the finale in the 30 satellite slots available in the next 10 days. Every day satellites are held on three very convenient time slots —12.00 noon, 4.30 pm and 9.30 pm. It should suit all sections of people, including housewives, techies and employees of various government and private companies. The satellites will run up to October 18, the penultimate day for the finale. If you have a tight schedule or for some reason do not have time to play satellites, don’t worry. 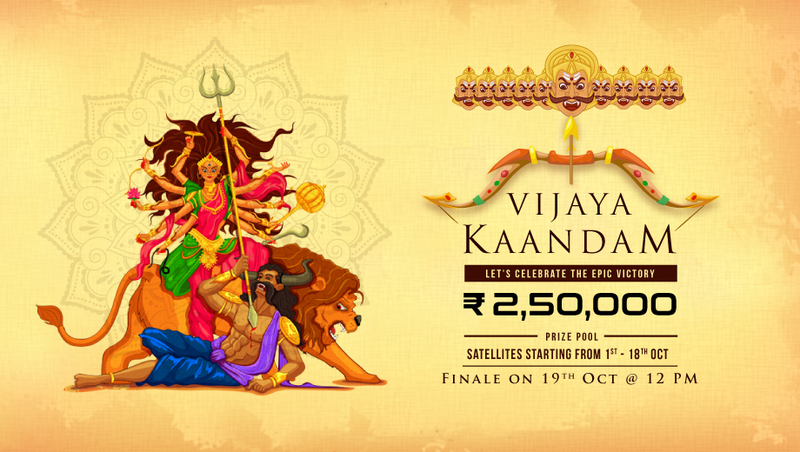 You can still be in the finale by paying just Rs 500. The entry will be open till a few minutes before the finale kicks off at 12.00 noon on October 19. Also, late-registration feature is available for limited time and seats. Beyond this players cannot register. Why delay? Roll up your sleeves and get cracking. All you need to do is to log on to friendly and easy-to-navigate rummy online website and try for entry through satellites. You can be in the most exciting tournament of the month. You need not have to even step out of comforts of your home to get entry into the tournament. Lakshmi, goddess of wealth is waiting to bless you. The finale is on Friday and the day is associated with Goddess Lakshmi. Your quick fingers can help you to beat the opponents in the 13-card game. You will get cash, subject to government restrictions. 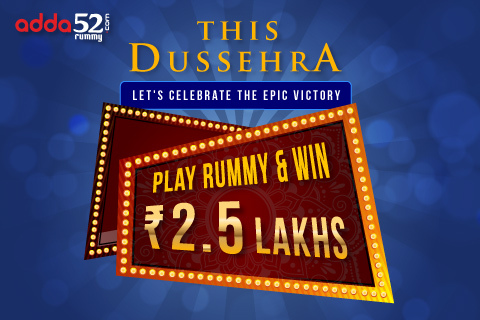 However, you need to follow certain rules and regulations, which are strictly followed by reputable adda52 rummy. Players above 18 years only can participate in the tournament and mobile verification is required to register in the tournament. Email verification is mandatory to encash your prize. Participants from Telangana, Assam and Odisha are not allowed to take part in the tournament. 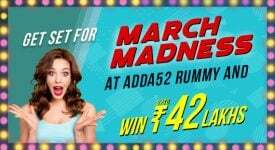 In case of any dispute regarding winning and payment of prizes, the decision of Adda52Rummy will be final and bound to all participants. Why think? 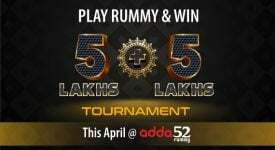 Log on to adda52 rummy and have a blast playing cash rummy games. 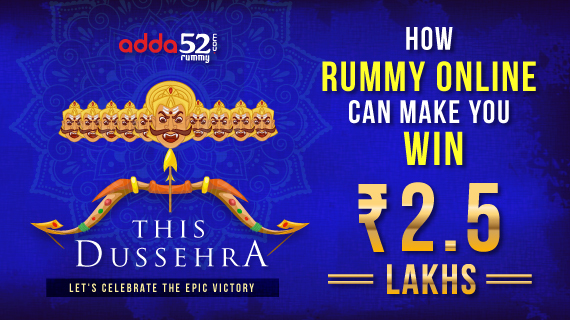 For more details mail to info@adda52rummy.com or call 1800-3000-0611.